Built in Finland in 1993, few expedition ships are capable of delivering such a well-appointed, comfortable Antarctic experience on board such a safe and ice strengthened vessel. Spacious cabins, modern stabilising and an outstanding expedition staff all help to enhance the adventure. 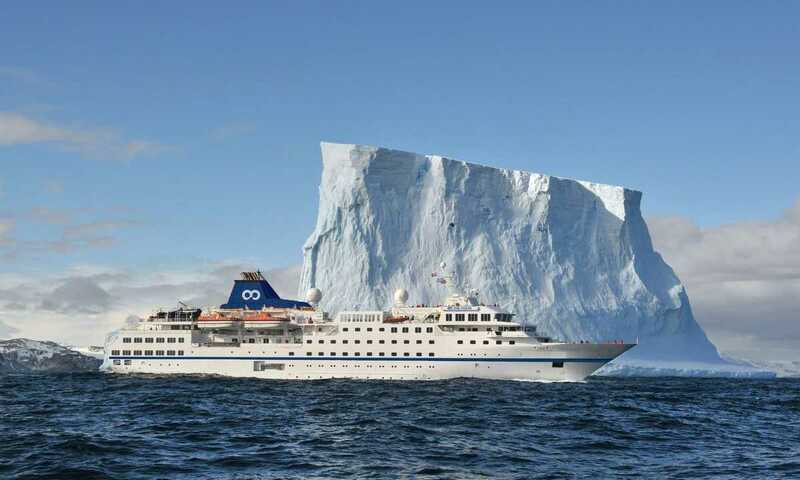 What really attracts me to this outstanding ship is her large cabins, fast speed and high ice class rating. Few expedition ships can touch her. 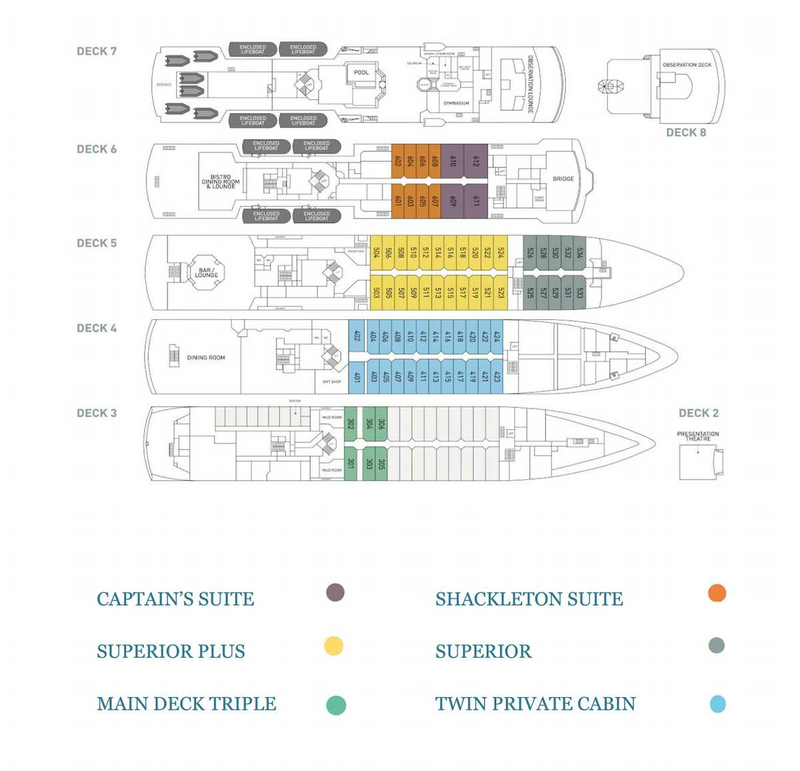 Located on deck 6 and includes the comfort of a sectional lounge with matching club chairs, a large desk, expansive soft close cabinetry, washroom facilities including both a shower & bathtub. 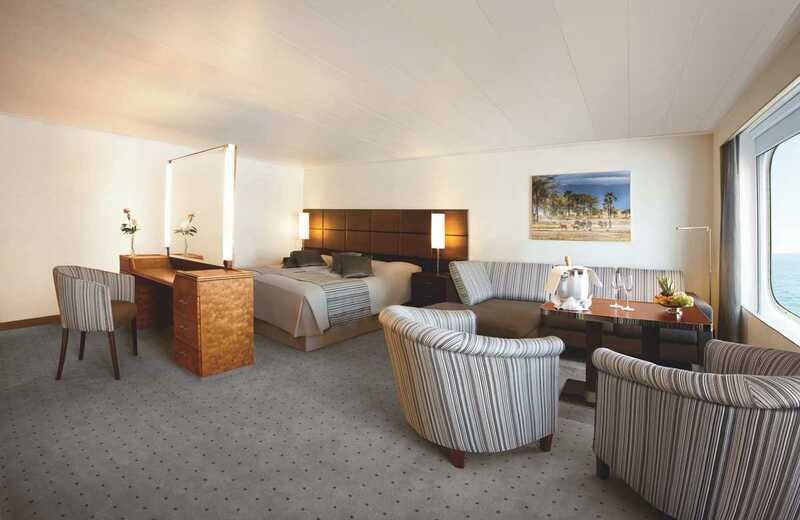 Sleeping quarters feature the option for either a double or two single configured beds with upgraded linen/ pillows. 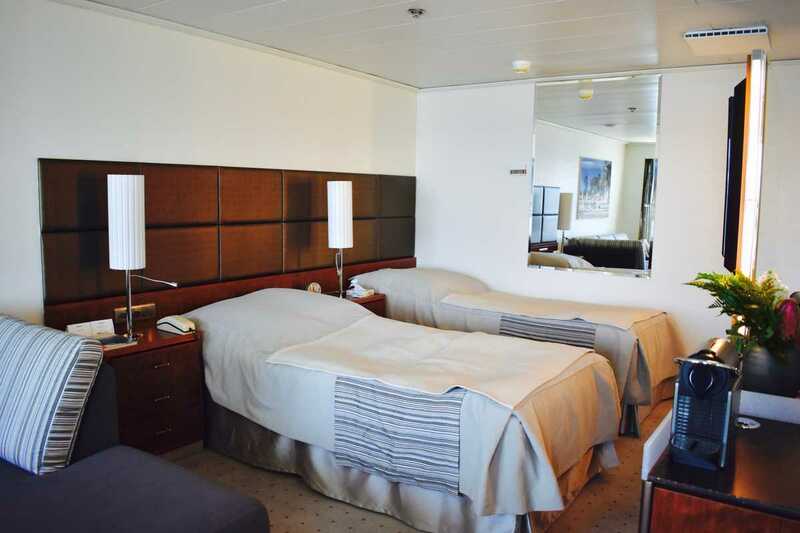 Located on deck 6 and includes the comfort of a sectional lounge a large desk, expansive soft close cabinetry, washroom facilities including both a shower & bathtub. 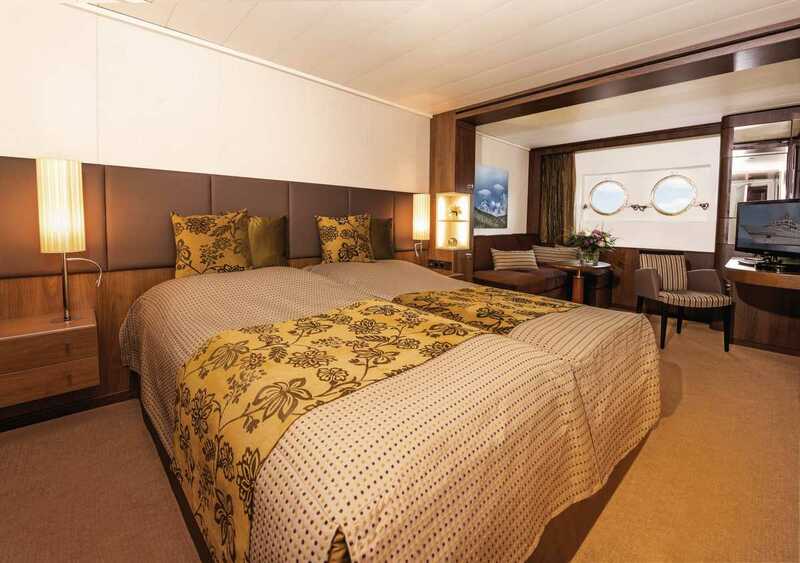 Located forward on deck 5 these cabins feature the option for either a double or two single configured beds. A sectional lounge is placed by the large picture windows, writing desk/chair, ample storage and private washroom facilities. These cabins are spacious and well appointed. 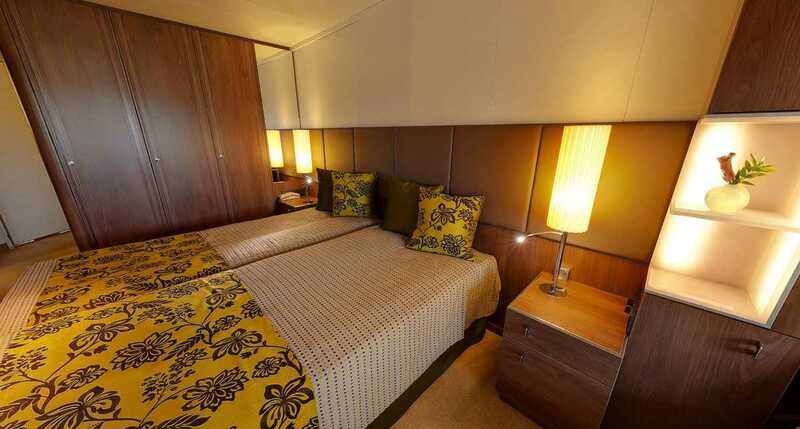 Located on deck 4 these cabins feature the option for either a double or two single configured beds. 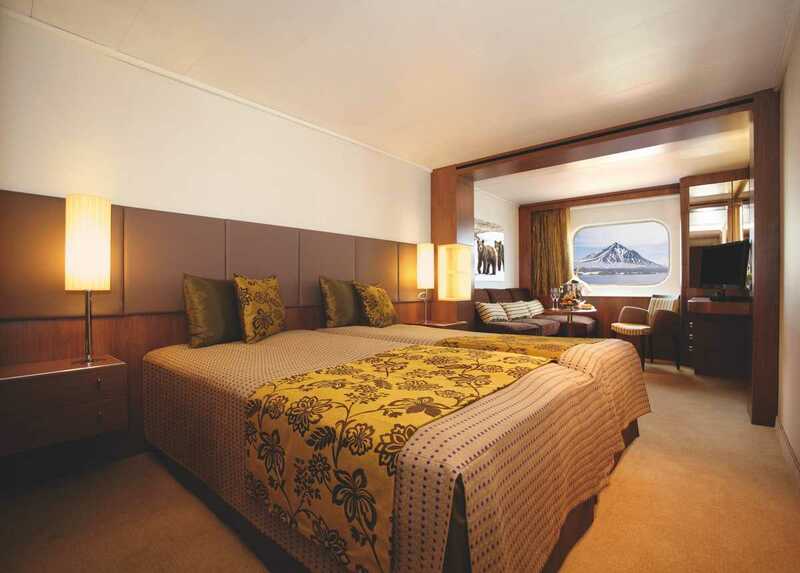 Located on deck 3 these cabins feature the option for a double or two single configured beds and a convertible sofa lounge to a lower berth. 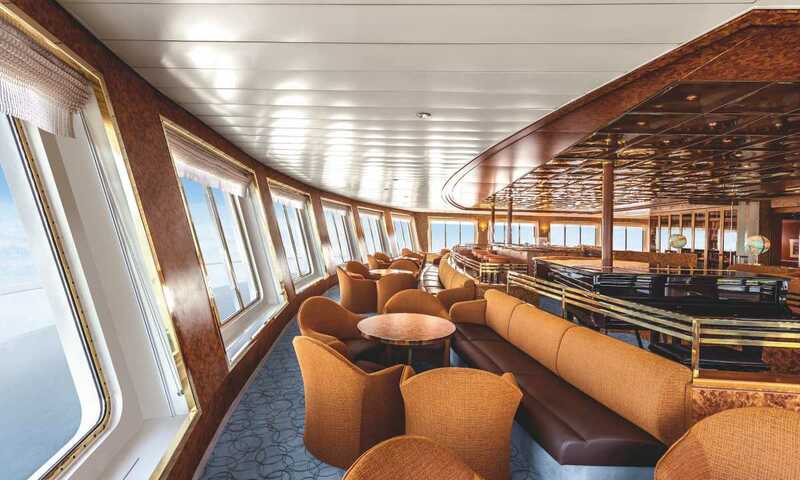 A sectional lounge is placed by the portholes, writing desk/ chair, ample storage and private washroom facilities.